Edwin Courtenay is a visionary artist creating work that encapsulates the energy of the spiritual world. Using optical art techniques he paints in layers incorporating not only jewel like colours but also real life textures and forms. Hundreds of symbols, mathematical formulas and codes are incorporated into each piece, woven between the layers, images and sacred geometry providing the art with power whilst the repeating multiple layers provide a sense of movement and flow! The premise of Edwin's art is that all of reality, every state of being and all energy is a vibrational frequency and code which can be captured and expressed through colour and form - through art. Radiating its unspoken message out into the world, bypassing the rational conscious mind and speaking at a deeper level - to the soul! 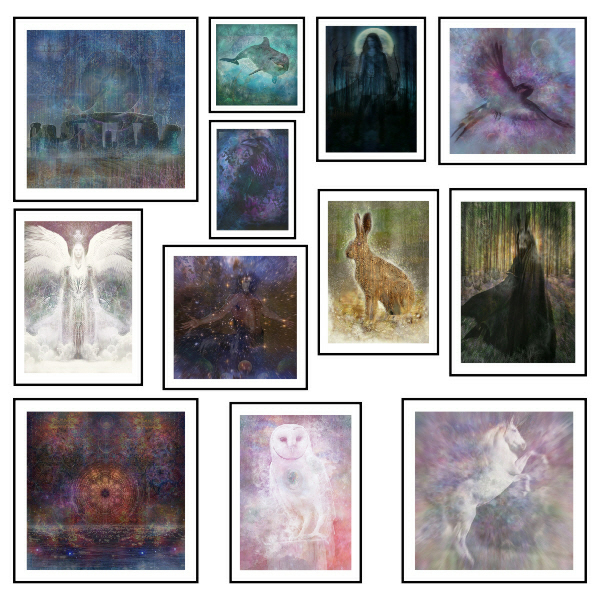 Spirit Light Gallery art are icons for the modern age, windows into another world, another time and space, each one alive with power and light! For more details on his work or indeed to commission a private piece please contact him using the form above.